Looking to make a statement in the kitchen with something modem and stylish? 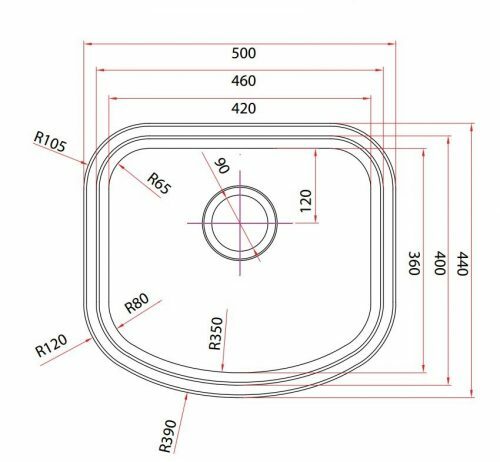 Look no further than the Milan Undermount Sink. Make a bold style statement by adding this gorgeous Milan Single Bowl Undermount Sink by Everhard to your kitchen. Designed to be installed as an undermount unit, this sink will accentuate the looks of your designer cabinetry, drawers and kitchen cupboards. 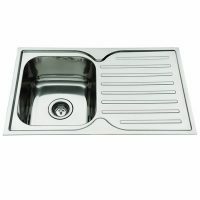 This modern and stylish kitchen sink will perfectly complement any kitchen. This Milan kitchen sink is practical as well as fashionable. 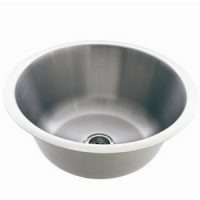 It is equipped with a large 28L stainless steel bowl and also includes a 90mm basket waste. 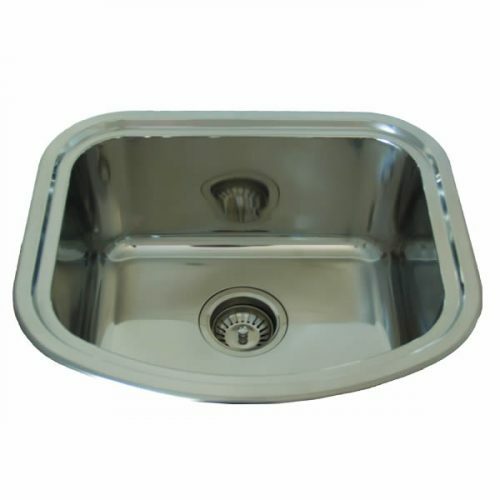 The sink measures 440x500x210mm and is large enough for you to perform your cleaning duties with ease. Featuring elegant contours, the Milan kitchen sink is also incredibly easy to clean thanks to a cleverly thought out design. A top quality product, the Milan Single Bowl Undermount Sink is manufactured using 304 grade stainless steel which is 0.8mm thick. 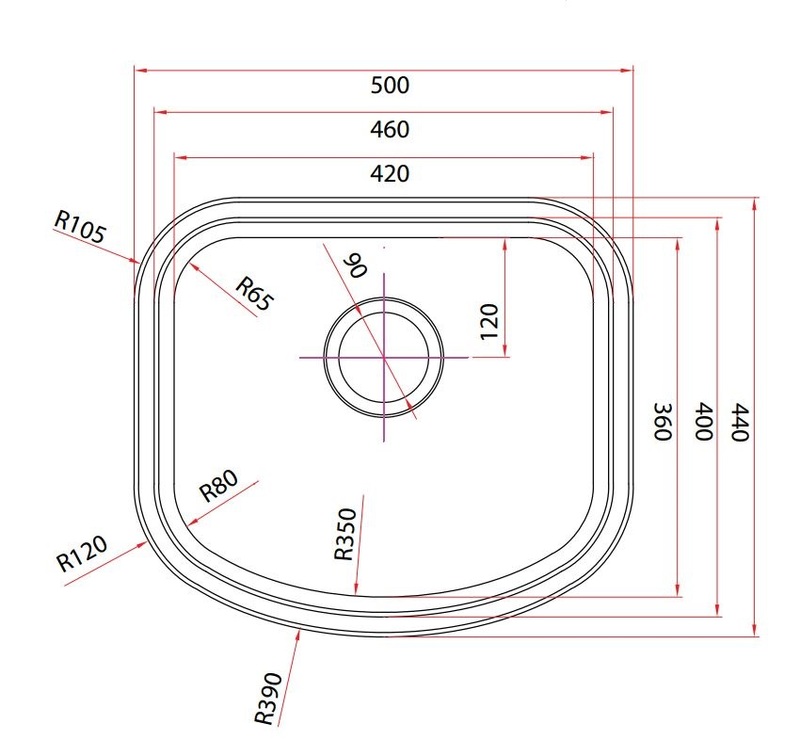 Everhard offers an impressive 25 year guarantee on the stainless steel bowl. Rest assured – this kitchen sink will offer you many years of service. So what are you waiting for? 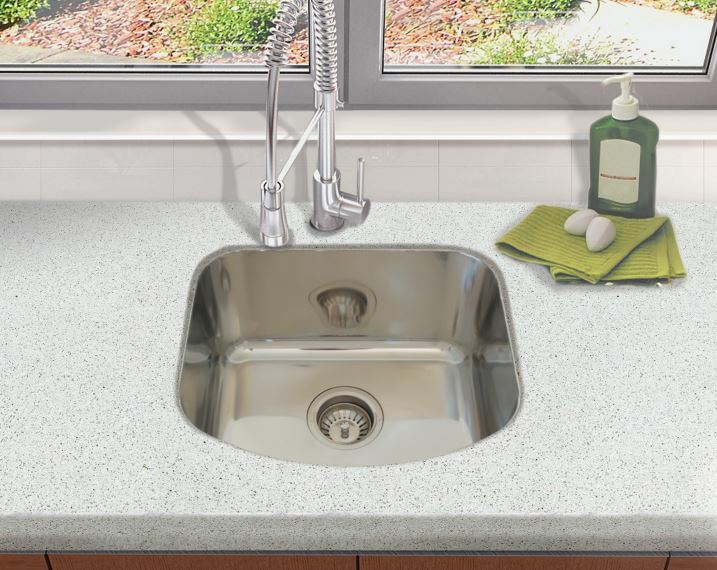 Give your kitchen a stylish makeover with the Milan Single Bowl Undermount Sink. Buy this kitchen sink at an unbeatable price – only at Ross’s Discount Home Centre!